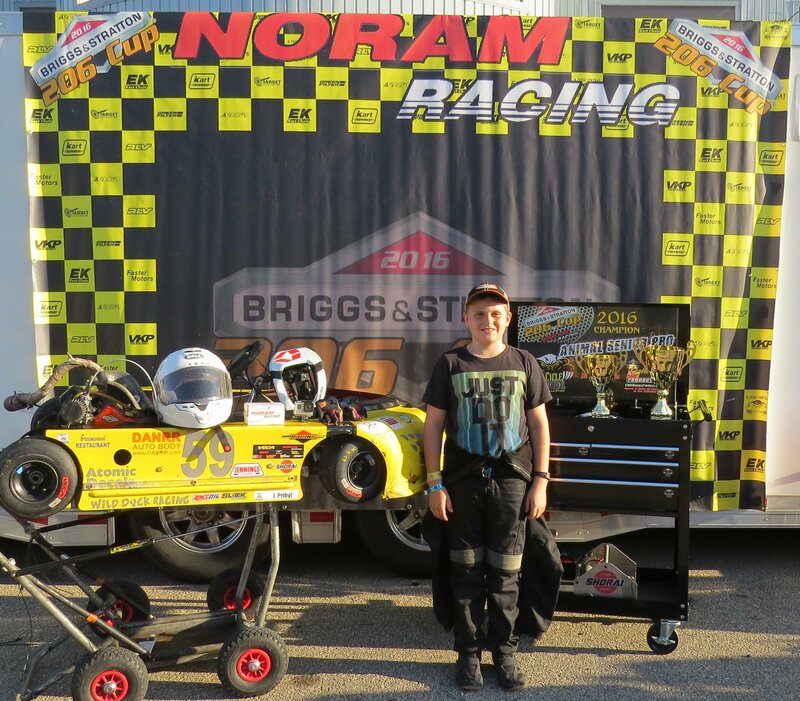 We visited Grattan Raceway Park near South Haven, MI over the weekend of September 10th to finish the season with the Championship Enduro Series. He had missed two weekends of racing but had done well enough to still be able to move to first place if he won the last four races. This was very possible as long as our new(to us) kart performed and held together. We had a tested it at Badger Kart club the weekend before and it was very promising. Unfortunately, the weather had other plans. It rained all day Saturday giving everyone rain points and putting the championship out of reach. On Sunday, the new chassis broke but we were able to repair it and Jason went on to win both races for an exciting but slightly frustrating weekend. 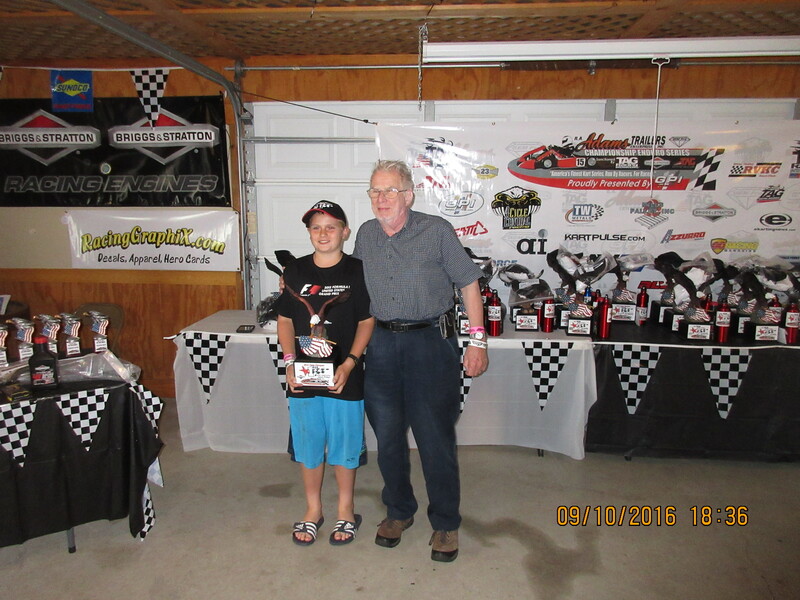 The weekend of September 17, we finished out the Briggs 206 cup at USA International Raceway in Shawano, WI. The LO206 sportsman class was already decided with Jason locked into 2nd place. 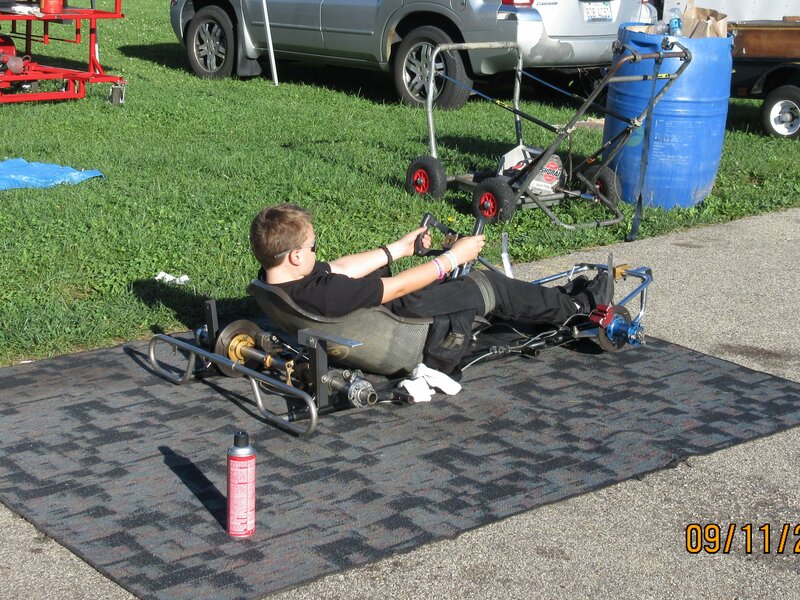 Jason struggled with an underperforming 2 06 kart all weekend but he still was able to finish in 4th place on both days. In the Animal Sr class he still needed to finish the weekend’s races near the front of the pack become Champion. Saturday’s racing was excellent with Jason keeping up with the leader and finishing both heats and the feature in second. On Sunday, Jason set the fastest lap in qualifying, repeating Saturday’s feat, and finished 2nd in the first two heat races. Starting 2nd in the feature Jason dogged Regan Vehring, his motor builder and race leader, for the first 8 laps of 10 laps, but not pushing too hard. In the 9th lap, Jason feigned attempt to pass in the back stretch looking to the inside before hairpin corner. As they made the final lap the Regan moved to the inside to block in the same place as Jason moved to the outside making the pass for the lead. Just a quarter lap later Jason earned his first Animal win of the season. These results where more than enough to seal the Championship. Congratulations Jason. The last race of the year was at the happiest place on earth Road America. 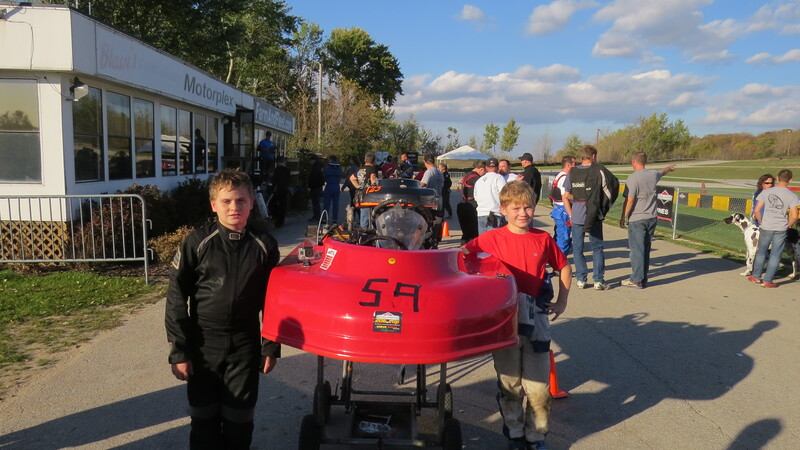 They held a 100 lap Endurance race. Jason partnered with on of his sportsman competitor Will to run LO206 Junior. We knew we would not have the fastest kart racing against animals and yamahas, so we planned to pick up time during driver changes. We put on a big gas tank that would easily finished the two 50 lap stints. This made our two pit stops very fast, as we only needed to change drivers. Other teams needed to change drivers and fuel, putting their pit stops on the order of minutes compared to our seconds. The boys drove very well at one point they were as high as 3rd but eventually fell back to 6th as the fastest karts were able to make up their pit time. At the end of the day Will and Jason finished first in their class and 6th overall. Here is where things ended with all of the series Jason raced with. Thanks to all of you for your support this season, it would not have not been possible without this great team to support us. We are already starting work on the 2017 season starting with getting his sportsman karts ready for sale so we can build new karts for even more racing next season.